Thin ice clouds reduced transparency, but we still had a good view of the lunar eclipse in Austin. The moon was visible for the entire event and still put on quite a show. I wasn't able to polar align one of my camera mounts because of the clouds moving in, but I had useable alignments on a 4" acromat refractor for visual observing and a Questar 3.5" for close up photography. 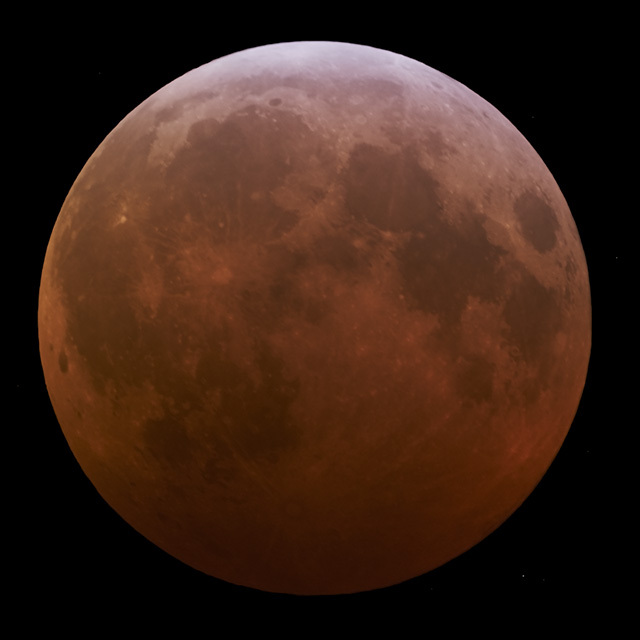 With the wide field of view in the refractor, it was fun watching the eclipsed red Moon move moving through and occulting nearby stars. 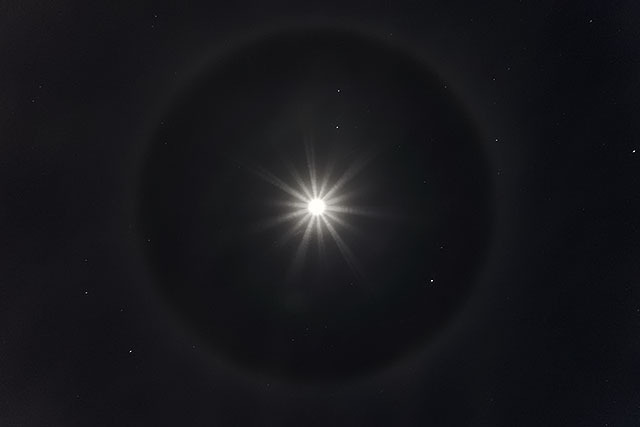 We were also treated to an ice ring around the moon after totality. This is just one frame of about 1000 images I took mostly with a Questar 1350/89mm telescope and Sony a6300. This one at 30" exposure at ISO 400 taken 2019-01-21 at 05:17 UT. Cropped in Photoshop with minor sharpening and exposure adjustments. I have a few weeks work ahead of me sorting through and processing my images. I was disappointed not to have the perfect weather of the night before, but it was a fun night, and it looks like I have useable data.